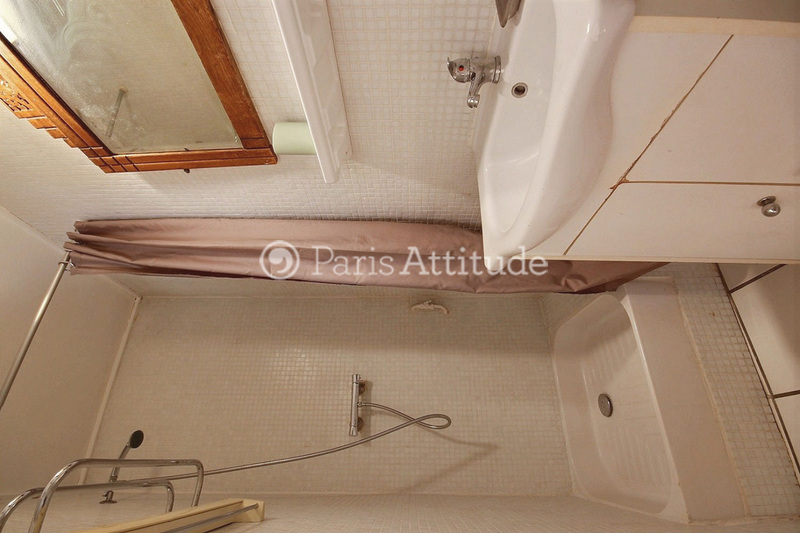 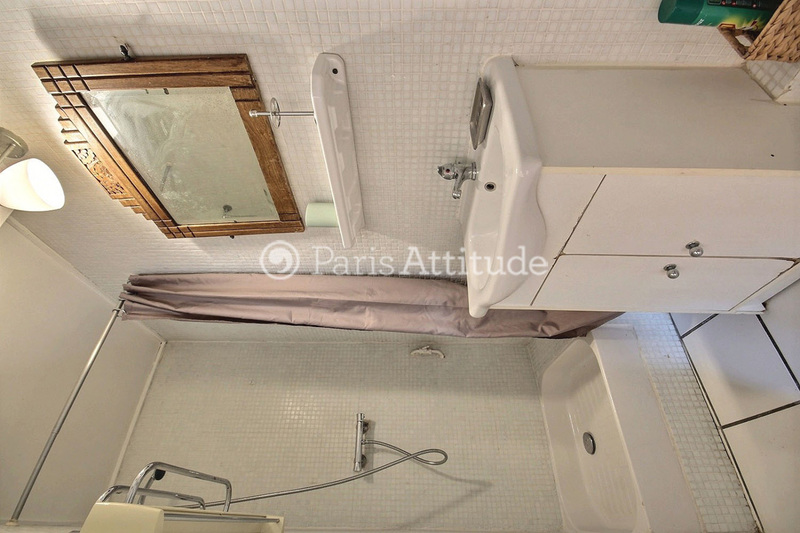 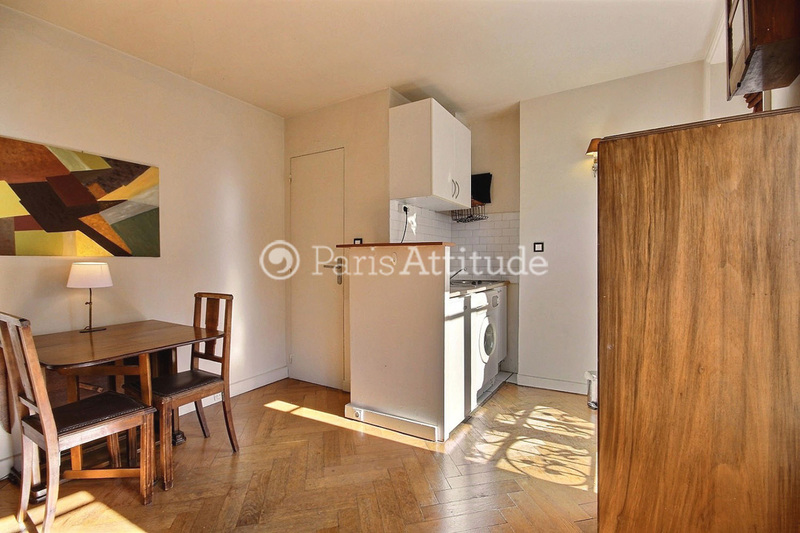 This charming 20 square meters studio apartment is located on rue Debelleyme in the 3rd arrondissement, on the 4th French floor of a 18th century building and it sleeps 2 people. 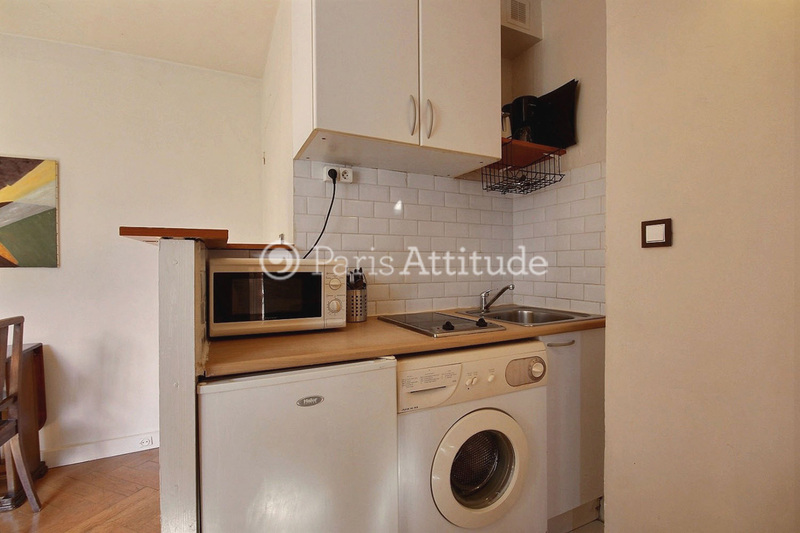 This apartment is equipped with : Washer, Phone, Stereo, TV, DVD, Unlimited High Speed Internet Access (WiFi). 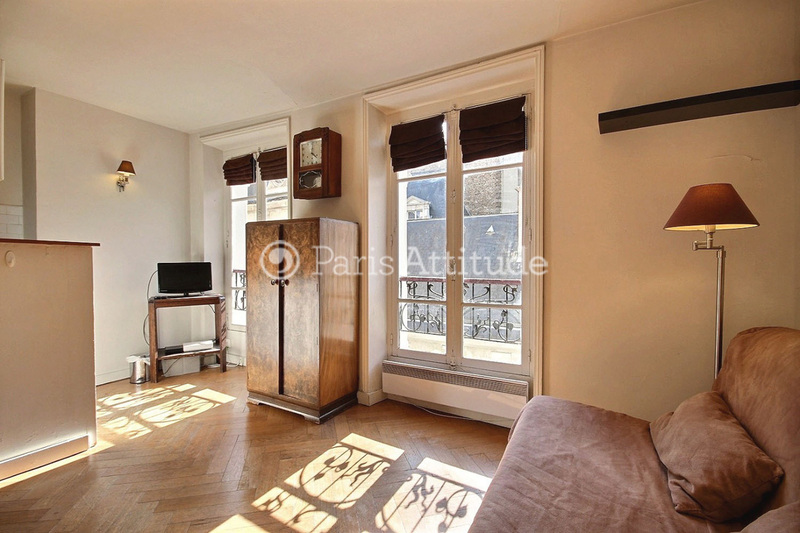 The 18 square meters Living room has 2 windows facing street It is furnished with : a double Sofa Bed, Dining table for 4 people, Stereo, Phone, TV, DVD, closet, Built-in closet, Chest of drawers, Hard wood floor. 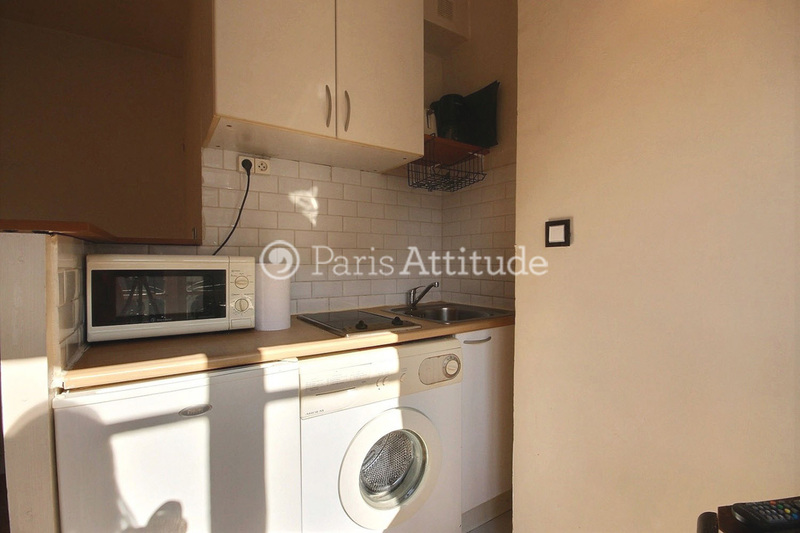 The open kitchen is equipped with : A bar , Microwave, ceramic hob, Fridge, washer, Coffee maker, And all kitchen utensils, Built-in wall closet, Built-in shelves, Tiled floor. 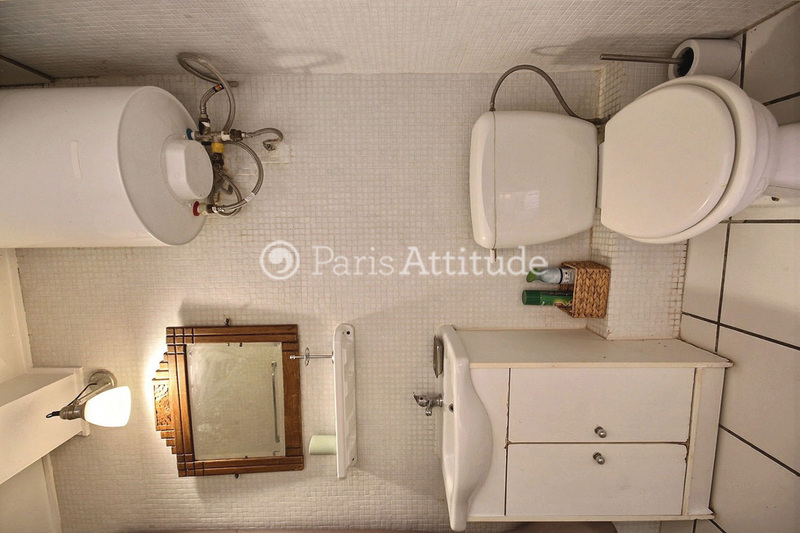 The 2 square meters bathroom is equipped with : Washbasin, Shower cabin, toilet, Built-in wall closet, Built-in shelves, Tiled floor. 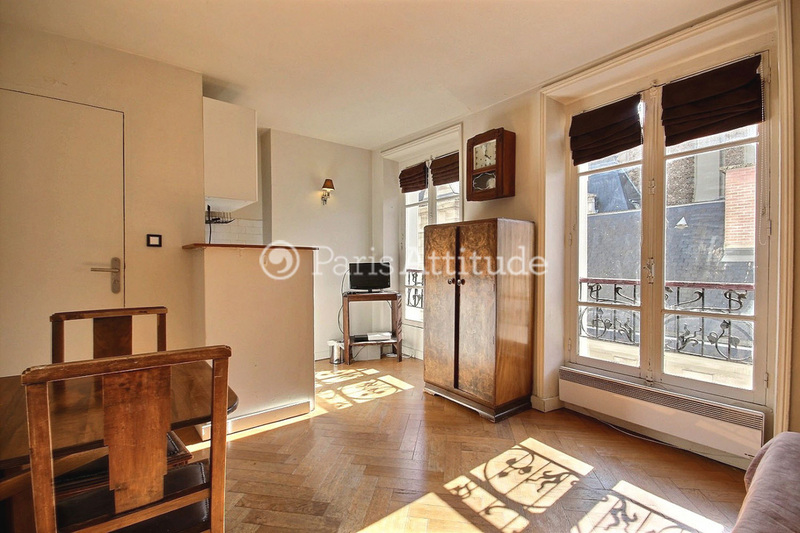 This apartment is located rue Debelleyme in the 3rd arrondissement in the heart of Le Marais area, which the center and the oldest part of Paris.